When we arrived there was a tarp in closet, 10 lb. bag of sparkle on counter with some spilled on floor, vacuum cleaner in middle of bedroom, obviously workers failed to clean up. Management was fair on this and offered assistance. The ocean View was the best ever. 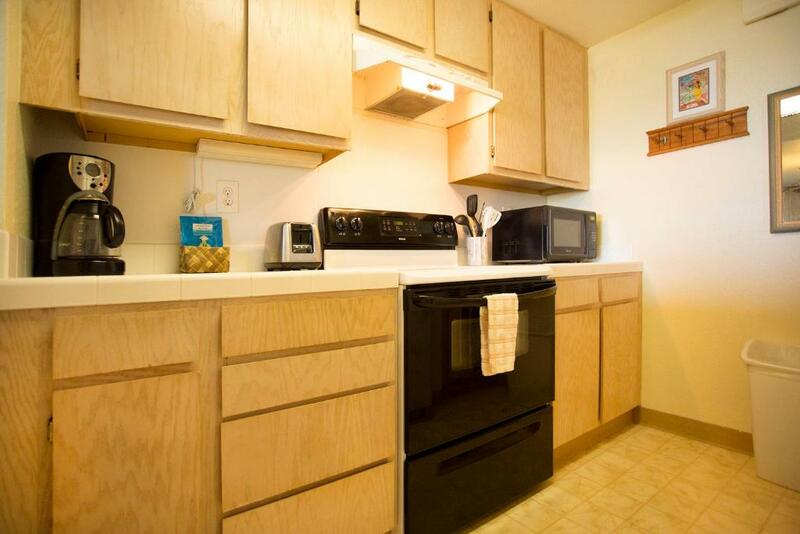 Unit was well stocked with kitchen and living amenities. Furniture and space were comfortable. I like the location of our condo. Beautiful view. Close to Poipu beach park. 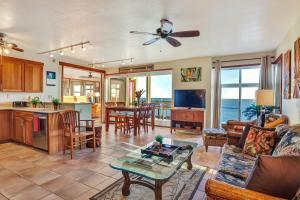 Beautiful location, close to beaches, walking distance to Poipu. Close to local shops. Safe and property is well taken care of. Big apartment, seaview, swimmingpool, really clean, good beds. Parkingspace in front of the complex. I would recommend this to anyone. Lots of room for our family of 6. Awesome view! Close to great beaches and activities. A reasonable price compared to other properties in the area. Great location, near beaches/good restaurants etc if you have a car. Handy to Waimea Canyon (again with a car). Great pool area. Overall good value for money. Beautiful view, very convenient location, clean and very spacious. The view from the room was AMAZING. Right on the Ocean. Makahuena at Poipu This rating is a reflection of how the property compares to the industry standard when it comes to price, facilities and services available. It's based on a self-evaluation by the property. Use this rating to help choose your stay! Just half a mile from Poipu Beach and 3 miles to Koloa city center, these Kauai oceanfront apartments offer free Wi-Fi. An outdoor pool, hot tub and terrace are available for guest use. 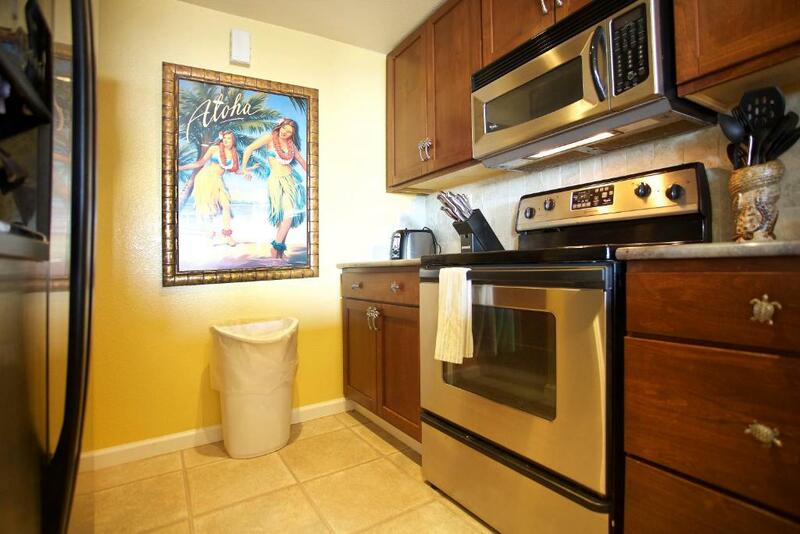 A full kitchen with dishwasher and cooking utensils is featured in each spacious apartment at Castle Makahuena at Poipu. A large balcony or patio is included. 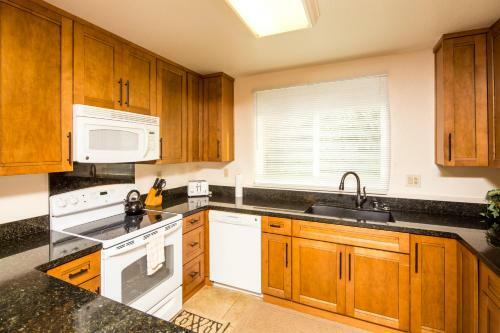 A washing machine and dryer, cable TV and ceiling fans are also provided. Tennis courts are on site. BBQ facilities are provided for convenience at Poipu Castle Makahuena. Lihue Airport is 14 miles from Castle Makahuena at Poipu. Poipu Shopping Village is a 20 minute walk away. Waimea Canyon State Park is 30 miles away. 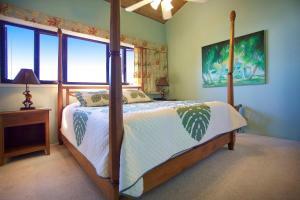 When would you like to stay at Makahuena at Poipu? 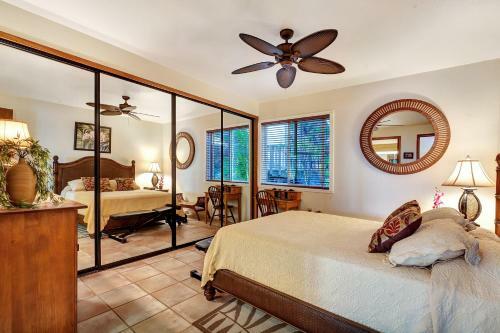 Free Wi-Fi, a private balcony or patio with ocean views, a full kitchen, a washing machine and dryer, a cable TV and ceiling fans are in this suite. An oceanfront condo resort in Poipu on the southernmost point of Kauai offering views of both sunrise and sunset. This resort features swimming pool, jet spa, tennis and barbeque area. 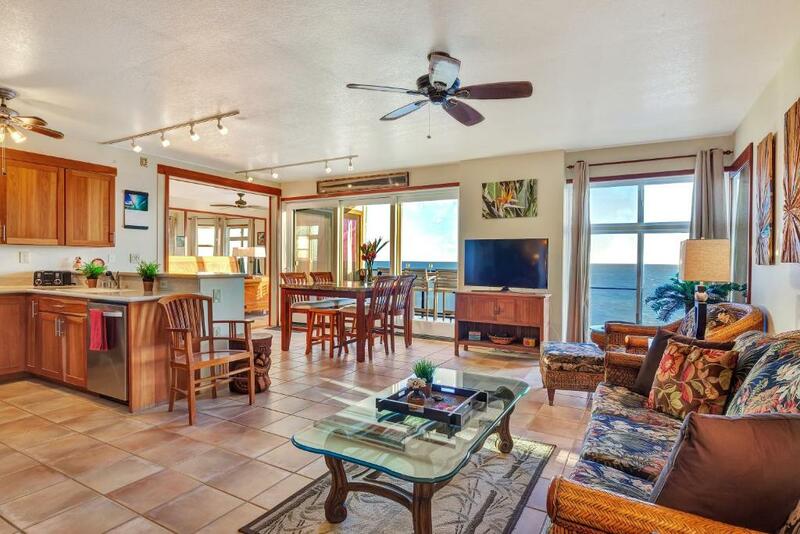 Walking distance to Keoniloa Bay, Shipwreck, Brennecke and Poipu beaches. Makahuena at Poipu is on the southernmost point of the island of Kauai and offers the rare opportunity for viewing both sunrise and sunset from its oceanfront location. 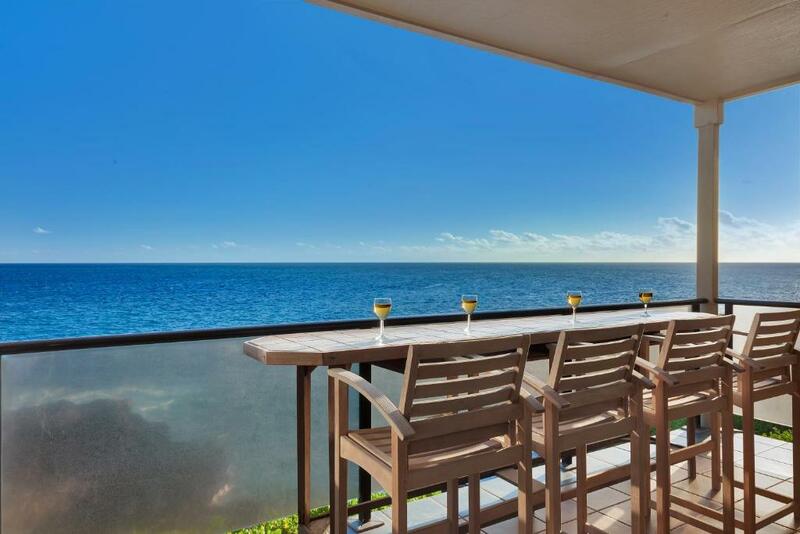 This oceanfront all-suite condominium consists of beautifully furnished one-, two-, and three- bedroom suites with swimming pool, sun deck, jet spa, tennis courts, and barbeque area. 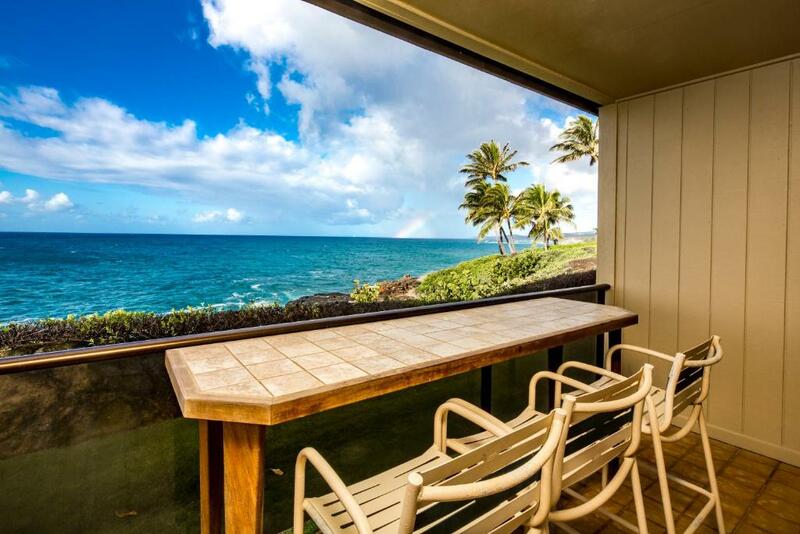 With Keoniloa Bay and Shipwreck Beach to the east and Brennecke's and Poipu Beach to the west, Makahuena is within walking distance to some of the most beautiful beaches on the island. (TLA approved). House Rules Makahuena at Poipu takes special requests – add in the next step! Makahuena at Poipu accepts these cards and reserves the right to temporarily hold an amount prior to arrival. Effective 1 September 2016, guests at the Makahuena at Poipu will now need to check in at the Poipu Shores, 1775 Pe’e Road. Office hours are from 08:30-17:00. The guest will need to pick up their keys at the after-hours box right outside the Poipu Shores office. Included in the packet are directions to the Makahuena and their unit. 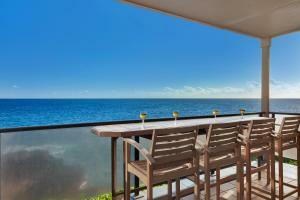 The following morning, we ask that the guests proceed back to the Poipu Shores front desk to formally check-in. Please note that check-in and key collection take place at: 1775 Pe’e Road, Poipu 96756. Rooms needed repair, especially the bathrooms. Kitchen in this condo very old, needs complete remodel, rest of condo OK, large rooms and balcony was nice. Our 3 bedroom condo, sleeps 6, only had a dining room table and chairs for 4 people. The kitchen was very small. The floor and stairs all creaked loudly with every step we took. The cable channel selection could be improved. A few more disposable items ( plastic trash bags, washing machine detergent, dishwasher detergent, more bath soap and shampoo for those who have booked for longer stays. How our room floor felt salty. The room smelt a bit musty but was fine after we kept the doors open. There was no air conditioning but fans were provided. No housekeeping was provided during our stay. Location and size of apartment was great. The apartment was also kept very clean. Unit 2306 and 2104 are very very old and very very dirty. No instructions on operation of tv. No coffee except for decaf. Location was exactly what i was looking for. The pillows smell so bad, please change to new pillows! I washed sheets, pillow cases 2 times but still smell so bad because of the old pillows. unit was a little dated and worn. should have maintenance and updates soon. to get ventilation you had to compromise security. air conditioning would have been a plus. No direct beach access, a short walk to beaches.